While the battle for which company has the better smartphone often devolves into a mere spec war, sometimes it's the simplest features that can help a phone stand out from the competition. Even though Apple may be outgunned by other manufacturers like HTC and Samsung when it comes to screens, cameras, or raw power, the Cupertino company has arguably always had a leg up on the ease of use over its competitors. Now, Apple is potentially readying a new feature which could make using the iPhone 5S easier and intuitive for its users. With its latest patent, Apple has created a way for the iPhone to automatically adjust its volume based on the device's proximity to a user's ear. 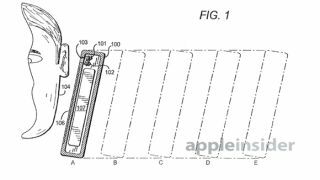 According to Apple Insider, the U.S. Patent and Trademark Office has granted Apple the patent for "Adjustment of acoustic properties based on proximity detection." Using a variety of sensors in the phone, the software would adjust the volume on the call accordingly based on which of the sensors was covered up or exposed. As long as a distance could be calculated by the device, both the receiver and speaker volume could be configured with no input from the user. Additionally, the patent works while the phone is already in use, and could switch the phone from the receiver to the speaker should a person set the phone down during a conversation. Though the patent doesn't explicitly state when or where Apple might use such a feature, the hardware already exists, so it's entirely possible such an update could come to older iPhones as well as future devices. Curiously, the patent's approval comes just a short time after the U.S. International Trade Commision (ITC) threw out a sensor-related patent complaint levied by Motorola against Apple. Now that Apple appears to be free and clear, we could see this patent put to use sooner rather than later. So which one will we see first the iPhone 5S or the iPhone 6? Read our coverage of all the latest news and rumors to see which one Cupertino will release.